Because of the rigid beam-to-column connections, a moment frame cannot displace laterally without bending the beams and columns. The primary source of lateral stiffness of the entire frame is therefore dependent on the bending rigidity of the frame members. To understand its lateral deflection characteristics, it is convenient to consider the deflections of a rigid frame as composed of two components similar to the deflection components of a structural element such as a vertical cantilever column. 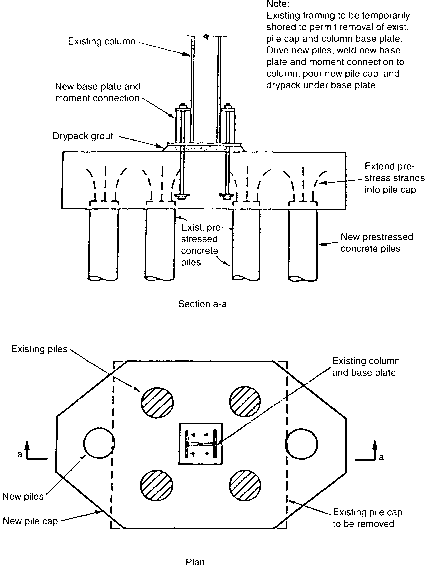 The primary deflection of the cantilever column is due to bending and the secondary component is due to shear. Unless the column is relatively short, the shear component may be ignored in deflection computations. However, in a moment frame, both of these components are equally important. The bending and the shear deflection components of a rigid frame are usually referred to as the cantilever bending and frame racking.